Hello wine lovers and happy wine Wednesday! I hope you are keeping well and enjoying new and wonderful wines from near and far! It has been great for me as my ‘birthday week’ kicked off this Monday with a wonderful lunch with two of my BFF’s – Sylvia and Natalie – who took me to FABLE restaurant for a great meal and some great wine! It continues today with a lunch with my Mom, dinner with my BFF’s from high school on Friday night and then a nice family day on Saturday topped off with a dinner with my hubby at one of my favourite restaurants….whew…I feel A LOT spoiled! Earth Day was yesterday and I don’t know about you but I was thrilled to see the sunshine come out to stay for at least part of the day! Thank you – that was a gift in itself. 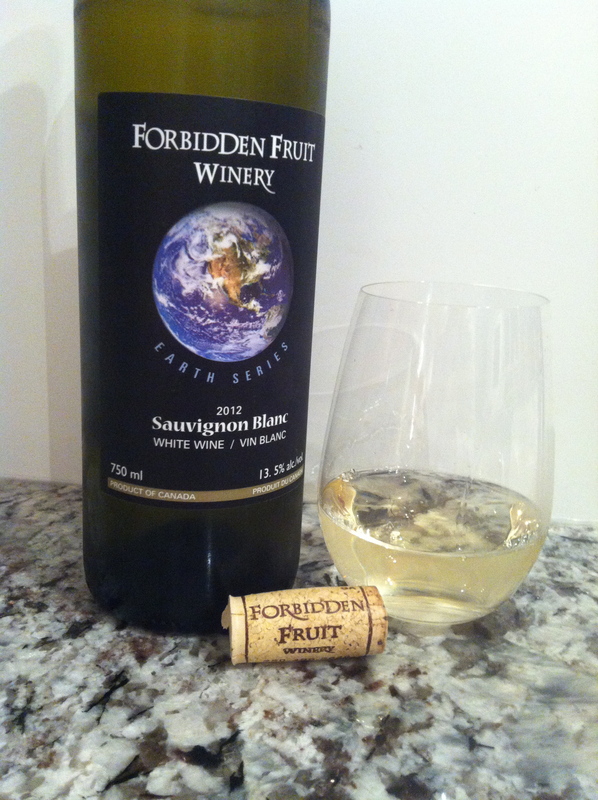 I wanted to review a wine that held significance for Earth Day and I was given a bottle Forbidden Fruit‘s Sauvignon Blanc 2012 ‘Earth Series’ just this past Saturday – perfect. Partial proceeds of Forbidden Fruit’s ‘Earth Series’ wines are put towards raising funds for ‘Sustainability of Life on Earth’…perfect. Forbidden Fruit Winery is located in the Similkameen Valley in Cawston, B.C. This ‘Earth Series’ Sauvignon Blanc is made with 100% certified organic grapes…not the usual practice in British Columbia so I was thrilled to learn that there are good organic producers in B.C. Forbidden Fruit Winery started out as an organic orchard and produces exceptional dessert wines and fortified fruit wines – eventually they added grapes to their repertoire and viola – my Earth Day wine selection. In the glass, this organic Sauvignon Blanc is a pale, straw colour with flecks of lemon. It boasts a nice aroma profile of red grapefruit, nectarines, a hint of gooseberry, some citrus and a fresh mineral note. On the palate, Forbidden Fruit’s Sauvignon Blanc is off-dry with medium plus acidity and is medium in body. The flavours mirror those on the nose with an increased amount of red grapefruit and a hint of lush, tropical fruit as secondary flavours…a very nice mix with a bright balance that I enjoyed. Hurray for this unexpected 100% organic Sauvignon Blanc from Forbidden Fruit! The B.C. Liquor Stores do not carry Forbidden Fruit’s product line however many private liquor stores do. Click here for a list of where you can purchase their wines in Vancouver – as well – listings for Vancouver Island, B.C. Interior and Alberta. 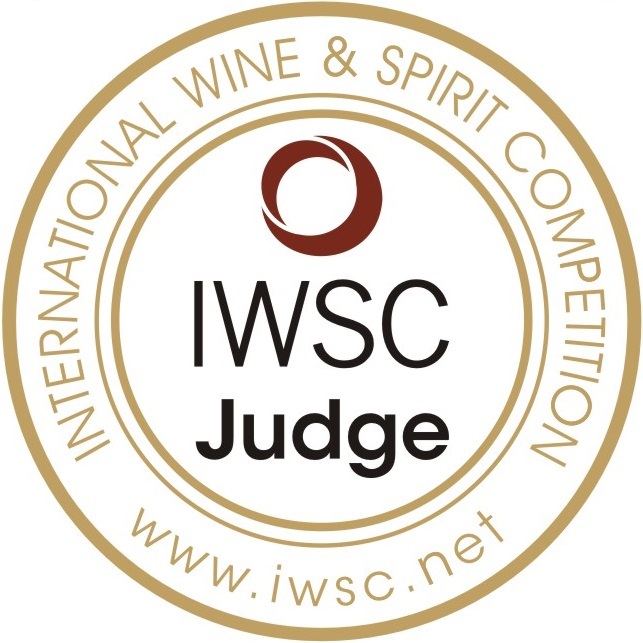 This is a GGG ‘Hell Yes’ for taste, ethics and organic practices. At $21 a bottle with partial proceeds going to sustainable fundraising – how can you go wrong? Lovely, off-dry red grapefruit flavours, this Sauvignon Blanc shouts out to be paired with a fish dish in a citrus sauce or a nice cheese plate…delicious. That is it for this week! Thank you for following my blog and sending your feedback to me…I appreciate it. With my birthday coming closer – I want to say how incredibly thankful I am for my family, my friends and this beautiful passion of mine called wine.